Let us mount your optics, sights, and other accessories! We understand how important alignment is when it comes to shooting, even minor errors in installation can become a problem with aiming, especially over long distances. Let us mount your accessories onto your firearms so you can get back to doing what you love—hitting that target! Using a ballistic calculator we can sight in your rifles at any distance you desire just make sure you bring us the original box your ammunition came in so we know what exact load it is were shooting. Generally we can sight in most rifles using only 3-4 rounds of ammunition which means you will have more lead leftover to send downrange! 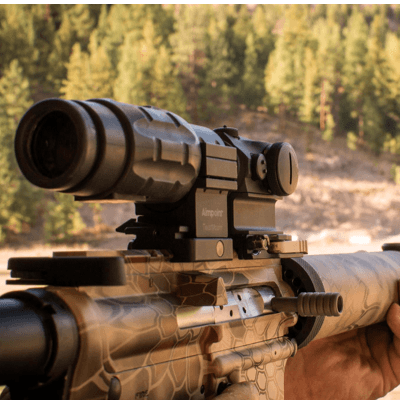 Anytime you purchase a new optic and mounting equipment from us we ALWAYS mount and sight in your optic free of charge, the way it should be!